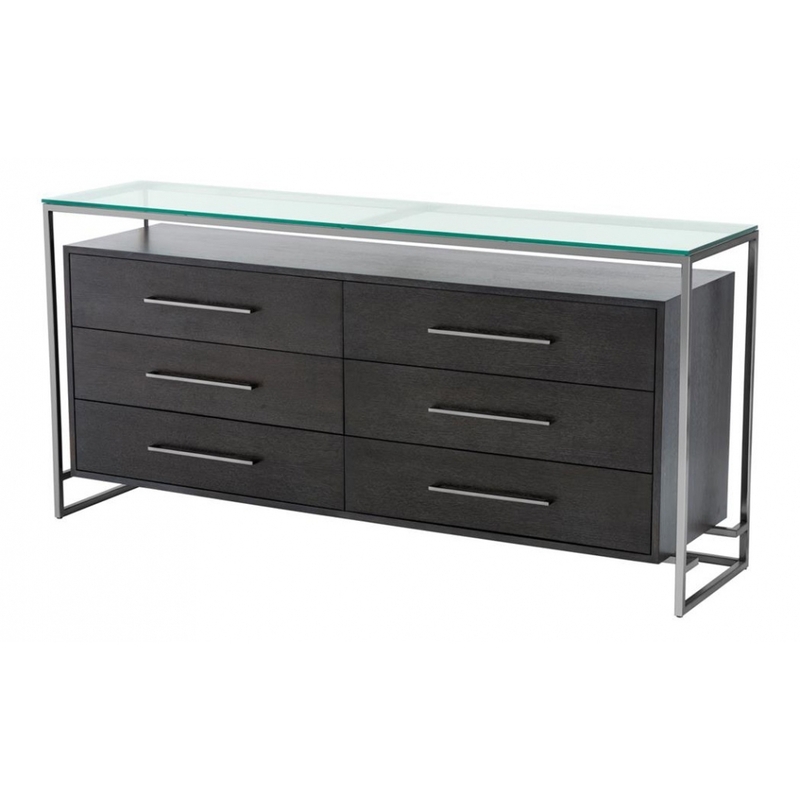 The Durand Dresser by Eichholtz delivers a cool linear design, perfect for modern and contemporary interior schemes. Impeccable craftsmanship and the highest attention to detail showcases this beautifully balanced dresser with charcoal oak veneer, clear glass top, nickel frame and drawer furniture detailing. Practical and stylish, the Durand Dresser will enhance a luxe modern bedroom suite or contemporary dining room and has the strength of presence to stand alone in a foyer or hallway as a versatile and handsome storage solution. Dutch interior design house, Eichholtz pride themselves on their eclectic collection of beautiful furniture, lighting and accessories carefully selected from around the globe. Here at Uber, we have an extensive directory of Eichholtz luxury homewares to choose from. Why not contact our expert interior design team for further details and inspiration to help you find the perfect curated collection for your next home, yacht, bar or hotel design project?